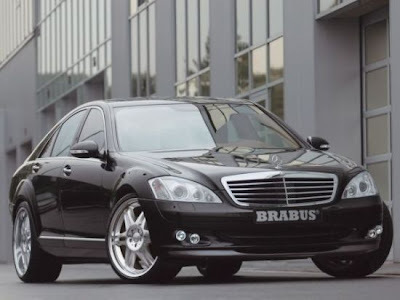 Mercedez Benz Special Edition car, Mercedes the famous german car maker has so many exclusive car, they're responsive enough to create limited and exclusive editions of their cars for their elite customers. 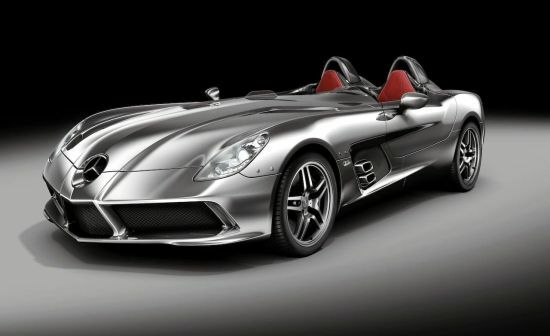 On this list you can find top 12 of the most exotic Mercedes Benz special edition car. Remember about Brabus Rocket 800 the fastest sedan in the world? 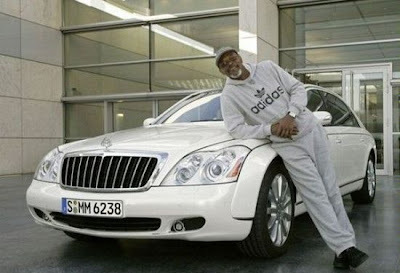 That car was basically a Mercedes Benz car too!!. 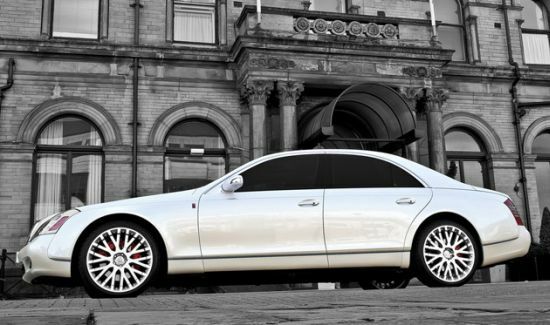 When combining class and exclusivity, very few cars are indeed of any competition to this particular model. Of the 406 pieces that were ever produced, only 3 functional pieces still remain today. First put into production in 1936, this car had an 8-cylinder engine that could give out 180 HP of displacement, and a top speed of 160 km/ph. The time taken to reach from 0-100 km/ph was 16.4 seconds on the 4-speed manual transmission system. The car had changed hands with well known owners in different continents, including Bernie Ecclestone who had bought the vehicle for $8.25 million in 2007. Considering that value, it became the most expensive Mercedes to be sold at an auction when it went under the hammer earlier this year. 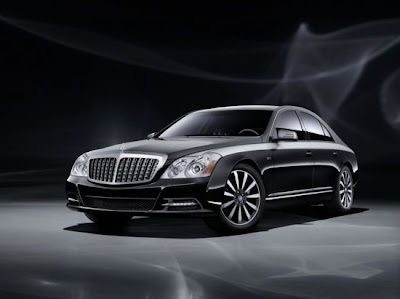 When Mercedes celebrated its 125th anniversary recently, it introduced a special series of its flagship car, the Maybach which featured prominent detailing of Swarovski crystals on the interiors. 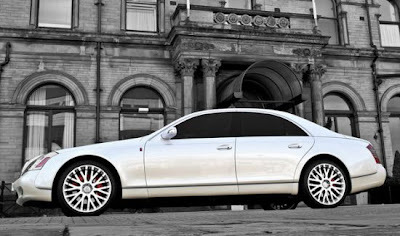 The back center armrest had a LED lighted and laser engraved logo of Maybach, the glove compartment had a Wilhelm Maybach signature stitched on the opening switch, the upholstery was black leather with silver colored linings, along with carbon trimmings in numerous places to name a few. The exterior featured a Tahiti black and Patagonia silver paint job along with special front bumper, LED running lights, redesigned front grille and 19-inch wheels. Though it never went on sale, but customers of the car could have these customization done on order. 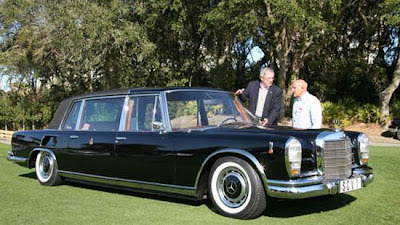 Produced as a one-off piece, this Mercedes was created as an escorting vehicle for the royal family of Abu Dhabi. The engine of this custom SUV was a 5.5 liter V8 capable of delivering 620 HP of displacement, along with additions like the special 8-piston caliber in front wheel brakes 4-piston brakes for the rear wheels, which were 22-inch alloy rims. The body featured a number of components in carbon fiber along with 8 fog lamps to maintain visibility during the night time near the dessert. The upholstery was cinnamon colored leather, along with some fixturhttp://www.blogger.com/img/blank.gifes in carbon fiber as well. When gold is found in as much abundance in your country, it won’t be too extraordinary to think about your personal car to embalm with the precious metal. To avoid any publicity, the owner’s name has been kept under wraps, but he is known to be someone uber rich from the Gulf region. 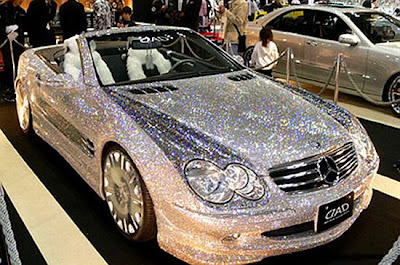 On further careful investigation, there were numerous embellishments with precious gemstones to add to the exclusivity of the vehicle. 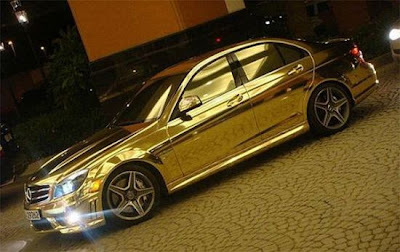 See more pictures of this Golden Mercedez Benz C63 AMG. For getting one’s attention towards your car, one method could be overdoing your car’s exteriors. 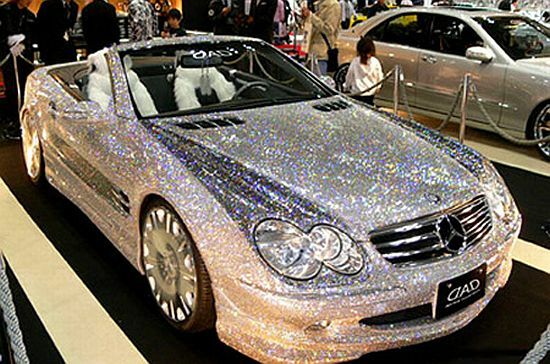 One such unknown individual got it done for his convertible Mercedes Benz SL. The white body of the car was embellished with diamonds, and also featured chrome finished alloy wheels amongst others in its list of custom. We just begin to wonder, what about peace of mind about security? Introduced as a part of a limited edition series of 75 units, this vehicle featured red and black toned jobs in many parts of the car, most prominent being the seats and the dashboard. The brakes clippers on the 19-inch Stirling Moss alloy wheels were red in color, which might get muted considering that it’s behind the wheels. The engine was a V8 diesel version, which could take the car from 0-100 km/ph within just 3.5 seconds and could go up to 350 km/ph at full capacity. This edition too was a part of a limited edition series of 25 versions only. 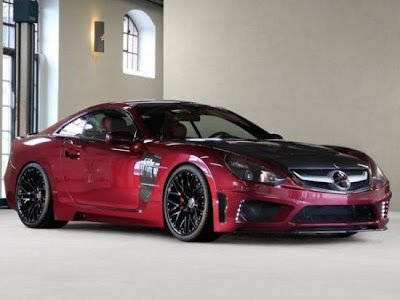 Unlike the normal SL65, this one has a hard top coupe design with a special paint job on the body with racing car alloy wheels. It had the décor in similar tones on the inside, but the owner got the chance to select from a range of exotic materials to do the job. 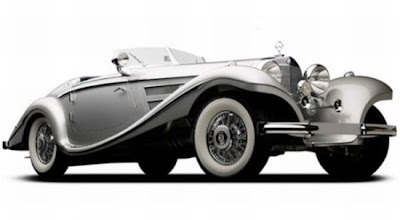 The engine was a V12 motor with 753 HP of displacement, and the transmission was 5-speed automatic. Depending upon the preference, the customer could opt for even more detailed customization, but the base price for one of these was pegged at $603,000. This special edition of Maybach 57 was done for the newly-wed royal couple of Great Britain, i.e. Prince William and Katherine Middleton. Largely similar to the standard versions, this special one had a pearl white paint job on the chassis, along with smoked glasses and darkened rear tail lamps. On the interiors, it had crafted wooden trimmings. A few other unique additions were the 22-inch RS-D Kahn designed alloy wheels, and the license plate, which read ‘4 HRH’, translating into ‘For His royal highness’. 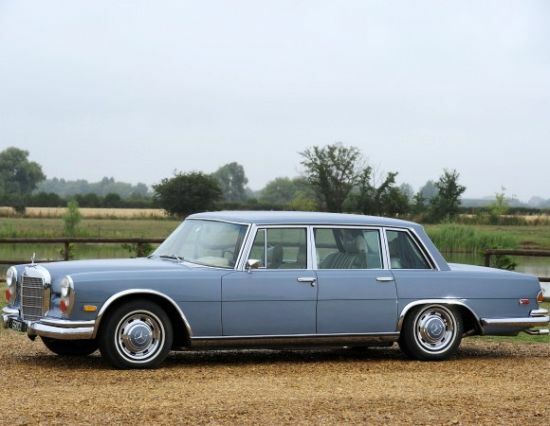 Created in 1965 for Pope John Paul VI, this Mercedes featured bullet proof glass windows, flexible rear seat for comfortable positioning of the crowd, along with single grain wooden finishing of the dashboard, and brown leather seating. The engine was a V8 which took the car from 0-100 km/ph within 10 seconds, comparable to the very top brass of racing cars. Also to be mentioned is that the standard 1965 Pullman had over 2,600 pieces but this car was a custom edition for the Pope, which was used for 3 other successors to the post. The reason this car became famous is that the ‘King of Rock n Roll’ Elvis Presley owned one of them in a special custom limousine design. The paint job was a unique powder blue tone, which had to be restored over the years. The interiors had a cream tone, which was ordered specially by Elvis himself, who also had the iconic logo of ‘Taking care of Business’ in gold leaf installed on the chassis of the car. 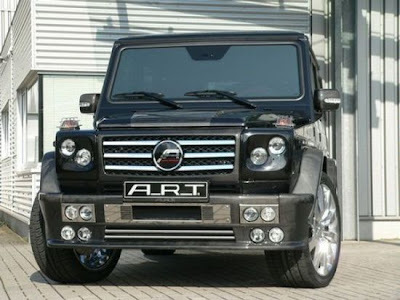 Later Bonhams auctioned the iconic vehicle to a successful bidder in Germany. This limited edition series was created with the S 320 model of Mercedes, which had the famous V12 Common Rail Diesel Engine, which had 730 HP of displacement at 5100 rpm. It took only 4.0 seconds to reach from 0-100 km/ph, and had a top speed of 340 km/ph, putting it in the league of racing luxury sedans. It was was governed by a 5 speed, automatic transmission. The additions to the car included the option for alloy wheels of different sizes ranging from 17-inches to 21-inches, depending upon customer preference. It also included the LED lighting on the rear apron, and the sides which could be activated from within the car or through the remote control key of the car. As a part of the safety package, the front axle had 12-piston aluminum calipers and the rear had 8-piston calipers to ensure that the breaking pressure was always maintained during emergency situations, especially on high speeds. Samuel Jackson is known to be an avid Mercedes Benz fan, hence ordered a customized version of the 57S Maybach for himself and his wife, La Tanya. Apart from the usual features, the car has been given a custom paint job, refrigerator, silver tumblers, champagne glasses, and solar roof panel, which would help in the internal air circulation and temperature management for ultimate comfort. Automobile safety must be always first in our priority. That is why we should buy cars that has improved automobile designs that would help a lot to reduce injuries and death rates.